Printed circuit boards (PCBs) are right in the center of the rapidly growing and changing world of electronics. The push for faster, lighter, and more robust electronics products has given birth to multiple ways to use PCBs in order to meet those demands. One way that printed circuit boards have been shown to help increase these capabilities is by use of the multi-layer printed circuit board. The original circuit board was a single layer and a single side. While it was a definite improvement over what was available at that time, as technology evolved, the need for more a more versatile solution was made obvious. As newer materials were made available and plating technologies became more prevalent, the multi-layer PCB was produced. Think of a multi-layer printed circuit board as kind of a sandwich of conductive layers and insulating layers. While, single or double sided circuit boards can have 1 or 2 conductive layers, a multi-layer PCB can have anywhere from 4 to the Guinness World Record for PCB layers, 129 layers. Typically, most multi-layer printed circuit boards come in the 4 to 10 layer count and only have an odd number of layers in rare situations. Size – While a multi-layer PCB is thicker, one board can often take the place of several boards eliminating the need for a space that will hold more than one board. The ability to pack more connections into a smaller space is one of the most important benefits of the multi-layer PCB. In today’s electronics world, the smaller a device can be, the better and multi-layer printed circuit boards play a large role in meeting this demand. Weight - Related closely to a smaller size, a lighter weight product is also in high demand in today’s electronics marketplaces. In the multi-layer design, the need to connect multiple single PCBs is eliminated for the lighter option of a single multi-layer PCB. Cost – When multiple PCBs can be condensed into 1 circuit board it can save money in the long run. Set up and processing time for multiple boards is lessened, parts for connections from circuit board to circuit board are taken out of the equation and generally overall component pricing will can be reduced by moving from more than 1 single layer PCBs to 1 multi-layer PCB. Switching to a multi-layer design can be extremely cost saving on long term large run designs. The nature and benefits of multi-layer PCBs have made them desirable in such products as cell phones, heart monitors, x-ray machines, GPS technology, and computers. Mobile devices, in particular, prefer multi-layer PCBs, as do a number of industry-specific applications. For all the benefits of a multi-layer PCB, they do not come without their own set of disadvantages, especially for low-cost and low-tech electronics. Cost – But wait… I thought I just read that cost was an advantage to using a multi-layer PCB. Well, it can be. Some, mostly low tech, low run, or extremely cost sensitive, applications may not benefit from condensing their design down to 1 multi-layer PCB as they can be more labor intensive at the design and manufacturing level. Additionally, we often run into situations where a board has been “over-engineered” into a multi-layer design when a smaller layer count can accomplish what the PCB is intended to accomplish. It is very much dependent on the project scope and application. Troubleshooting and Repair – This is probably the largest disadvantage to the multi-layer PCB. While single and double layer PCB’s can often be troubleshot and repaired at the component level, multi-layer boards have traces and connections “buried” in between layers that are not visible to the human eye. If one of these connections is flawed the entire board may not function as intended. None of this is to say that multi-layer PCBs are not a fantastic option for many electronic applications. Rather, these disadvantages may prove to be too high for products that do not require the advantages offered by multi-layer printed circuit boards. Essentially, for small, lightweight and complex devices, a multi-layer PCB may very well be the better choice. But if size and weight do not greatly factor into your product’s overall quality or function, it may be best to keep it simple. 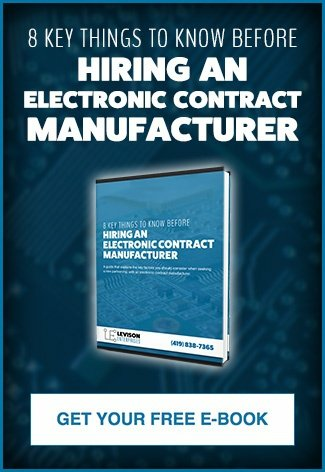 Work with your electronic engineering team to determine what might best fit your project’s application. In any industry where mobility is stressed, multi-layer printed circuit boards have become the natural choice. This is potentially most noticeable in consumer electronics in products like smartwatches, smartphones, and computer electronics. GPS devices are also an obvious winner when it comes to multi-layer PCBs as these devices not only need to be highly portable but also durable and reliable. Outside of consumer application, many industrial applications now depend on multi-layer printed circuit boards. 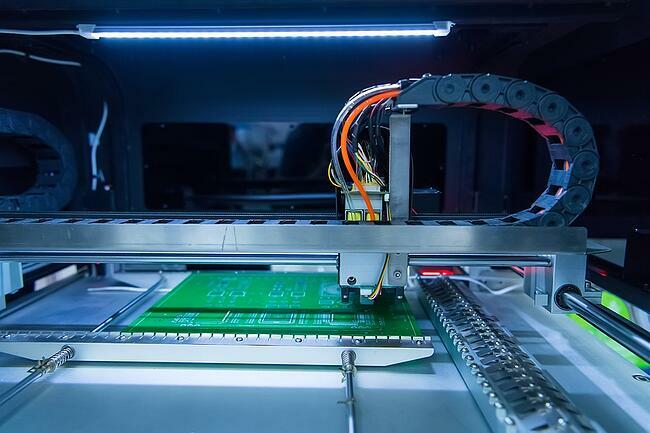 Automotive, military, aerospace, and medical applications are also increasingly using multi-layer printed circuit boards for many of the same reasons. Multi-layer printed circuit board technology is one of the may manufacturing offerings from Levison Enterprises. We believe in providing the right solutions for your product and, in many cases, a multi-layer PCB may be exactly what your product needs in order to meet your goals. In other cases, as discussed above, the multi-layer PCB may be overkill for your product’s needs. Whatever your product goals, we are here to help you meet them with multi-layer printed circuit boards or other manufacturing options. Contact Levison Enterprises and our team of experienced designers will work with you to determine exactly the right components for your next project.